Description: ABSOLUTE MUST SEE HOME FANTASTIC LOCATION! 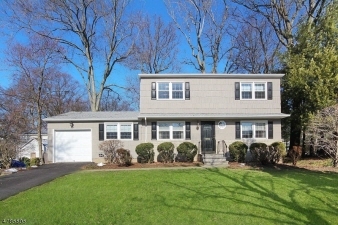 This well maintained colonial style home is located on a quiet tree lined cul-de-sac in a highly desirable neighborhood that is convenient to everything: - town, shopping, schools, parks & NYC trans.Just pack your bags & move in to this lovely home that boasts: 3 bedrooms, 2 full baths, powder room & an attached 1 car garage.The floor plan is a perfect layout for comfortable living. This special home features: hardwood floors, formal living room & dining room, family room w/wood burning fireplace, eat in kitchen w/granite & stainless steel appliances, partially finished basement w/ recreation room laundry utility plenty of room for storage & so much more! The backyard with deck is perfect for outdoor relaxing or entertaining.Click media link for tour & floor plans!